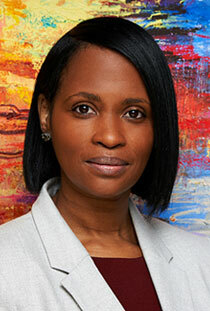 Prior to joining MJM Limited, Adenike held the role of Principal with the Bermuda Monetary Authority (the “Authority”), the Island’s financial services regulator. While with the Authority, Adenike managed the team responsible for taking a risk based approach to the review, approval, licensing and supervision of entities within the Banking, Trust, Corporate Services, Investment and Money Services sectors. The role included engaging both the AML/ATF team and the Enforcement team regularly. Adenike’s experience in the banking arena includes roles with Butterfield Bank, Clarien Bank (formerly Capital G Bank) and HSBC Bank Bermuda Limited (“HSBC”). Adenike worked at HSBC for 10 years in the Loan Management Unit where the core of her activities as Credit Recovery Manager – Legal and Insolvency involved the engagement of various law firms to minimize risk while recovering and securing assets.